Quint Company was founded in 1849 by S.H. Quint making its mark on Old City Philadelphia’s history. For 100 years their offices at 4th & Chestnut Streets, sometimes referred to as the Quint Mint, produced stamps, stencils, medals, badges, rags and coins such as the Masonic Chapter pennies. Over the years, the company, founded on a gold-rush fortune, has been continually making history. In 1876 Quint Company was recognized at the Centennial Celebration- a commemorative stencil was created in honor of the event. Quint products have even traveled to the moon, aboard the fourth Apollo mission in 1969. In 1971, after more than 100 years on 24 South 4th Street, Quint expanded to larger offices on Letitia Street to further develop its graphics division. 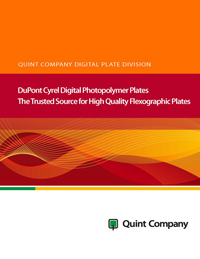 Today, the Quint Company has grown from a small stamp and stencil producer to a full service manufacturer, capable of servicing every facet of the marking and packaging industries. Now with offices on Castor Avenue, they have merged years of industry experience with advanced technological equipment to provide customers with the best end products available.